From their salted egg yolk fries to har cheong gai cutlet, McDonald’s may launch many new items, but the only one item that gets me really excited is the return of their Prosperity Burger. 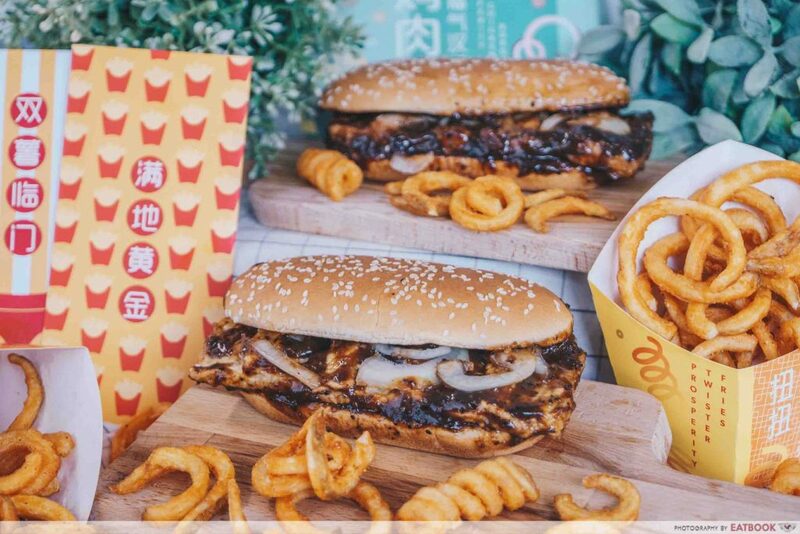 Usually only available during Chinese New Year, you can look forward to this hearty, saucy burger as well as the well-loved Twister Fries come 24 January 2019. If you’ve not had a Prosperity Burger, you absolutely must order one this year. It’s one of McDonald’s best burgers in my opinion, as the meat patties are doused generously in their signature peppery sauce. It comes packed with sauteed onions too, which lend a slight sweetness and crunch to the burger. All this is then tucked between toasted sesame seed buns. 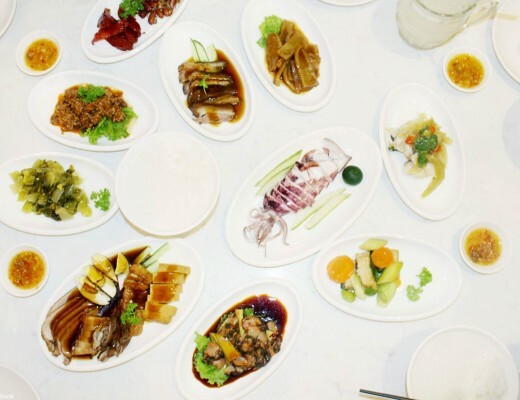 Great if you have a big appetite is the Prosperity Feast ($9.50). 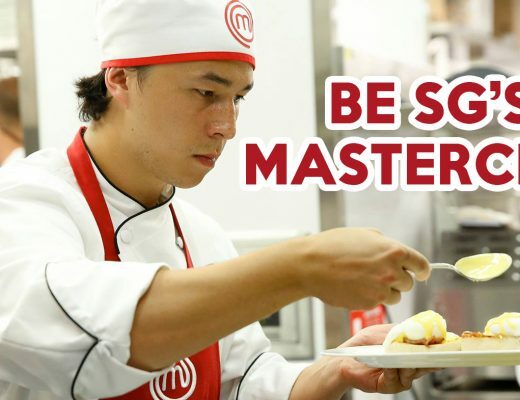 Super value-for-money, the meal comes with a medium size Twister Fries, Iced Milo, Peach Pie, and your choice of Beef or Chicken Prosperity Burger. The Peach Pie is also relatively new, with a consistency that’s similar to the classic apple pie. Alternatively, if you’re not a fan of fruity pies, you can get the Prosperity EVM from $5.50, which comes with normal fries, coke and the Prosperity Burger. You can also opt for a Double Prosperity Burger, which comes with two patties, at $7.50. 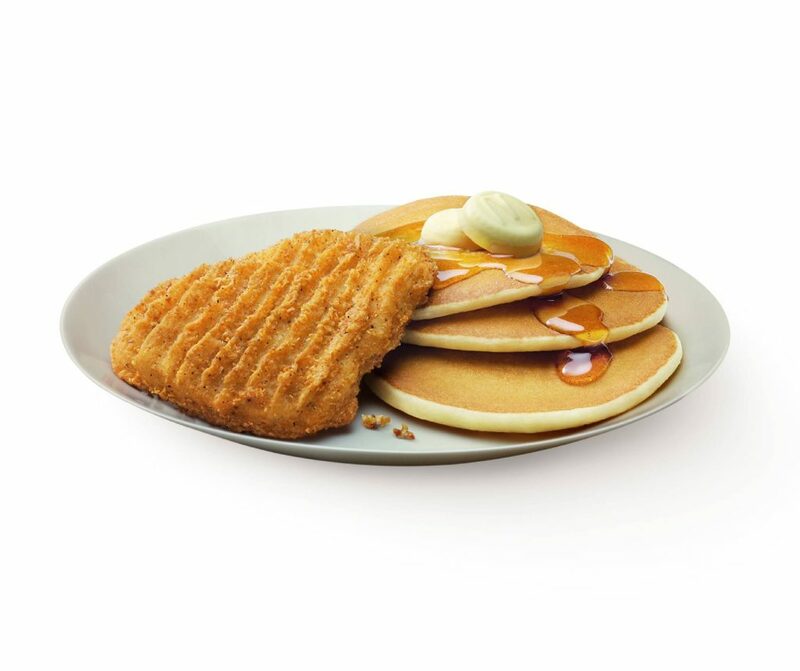 Their breakfast menu also features a new item; the Hotcakes with Golden Chicken (from $6.50). In this hearty breakfast dish, you will get three fluffy hotcakes as well as a crisp golden chicken cutlet. 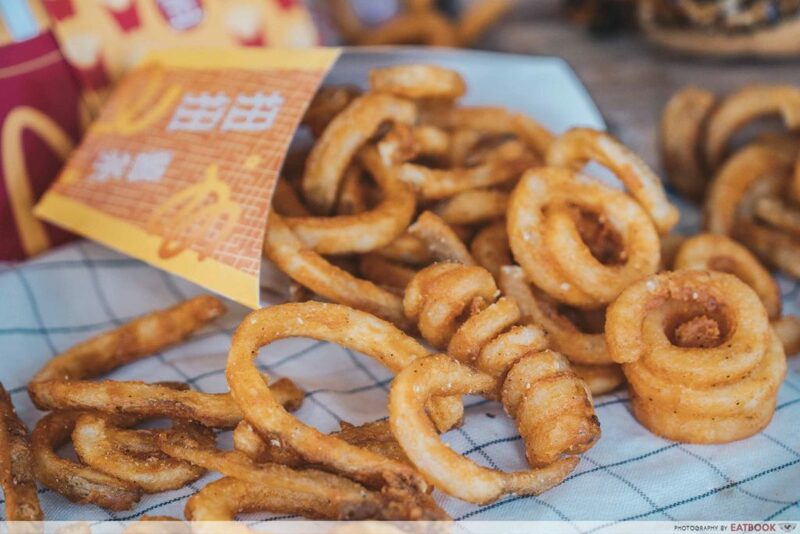 It’s very Southern, and a great way to fuel up before your CNY visitings. 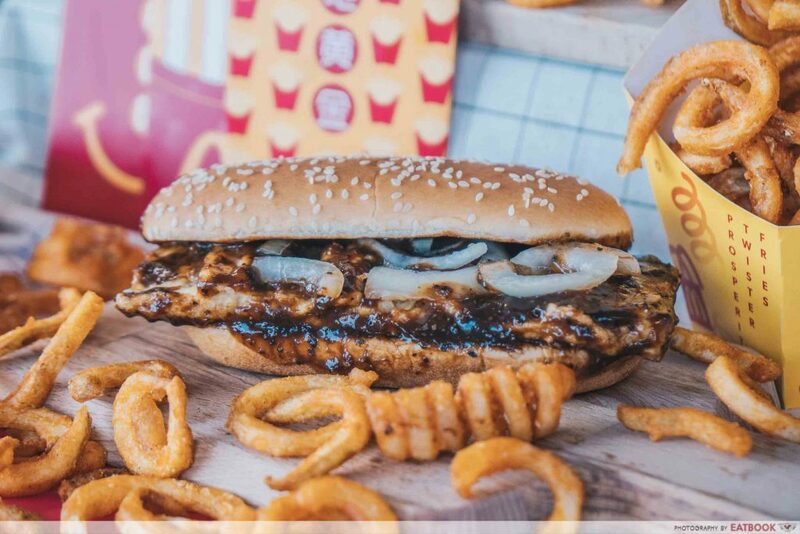 We have yet to try this dish, but are hoping that the chicken cutlet will be as juicy as our favourite McSpicy! Do share with us which of these McDonald’s dishes you are keen to try in the comments below.